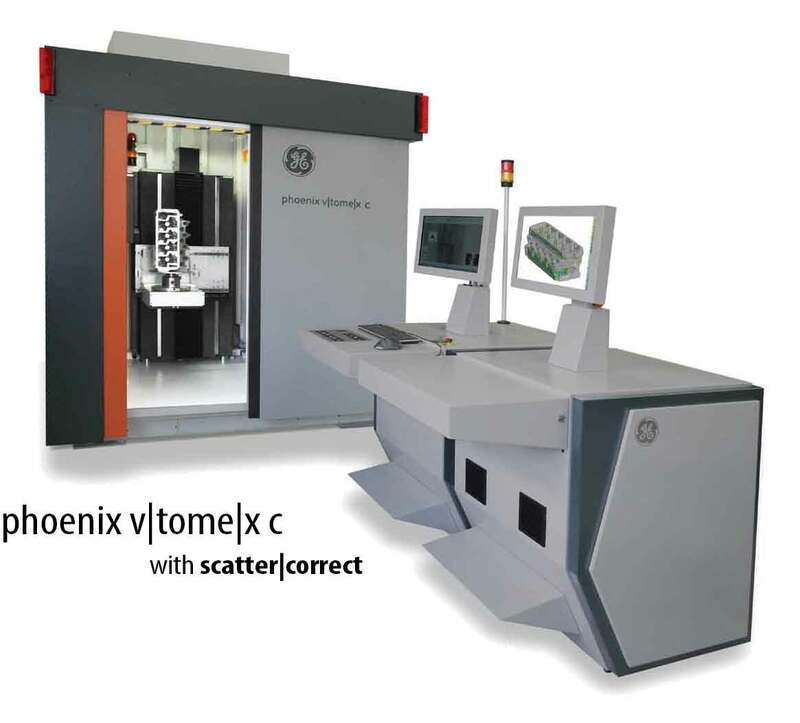 The phoenix v|tome|x c, offers a compact 450 kV CT system specially designed for NDT and quality assurance labs in foundries or aerospace applications allowing both, combined semi-automated NDT and 3D metrology. 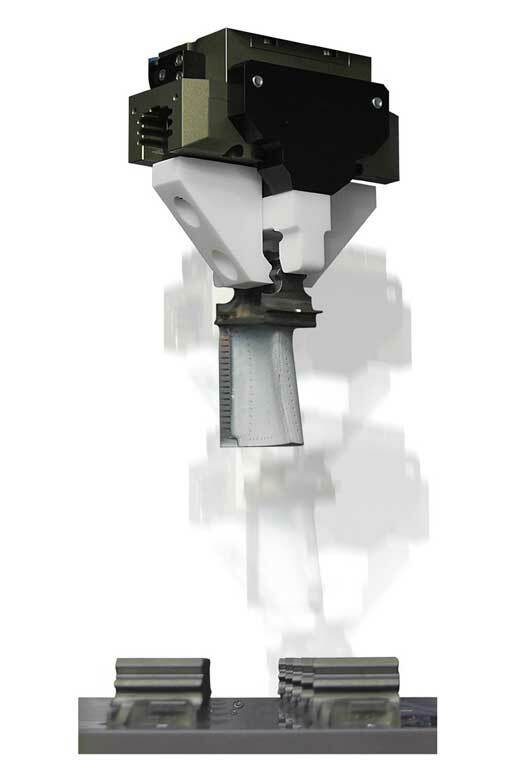 The low maintenance and production oriented design features like easy loading tools, barcode reader etc., as well as the new one-button|CT automatization functionality make the system a very efficient tool for high throughput industrial quality assurance. 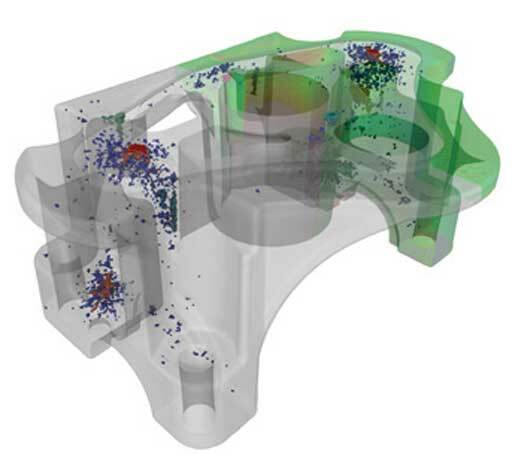 The quick|pick manipulator of the high speed configuration HS even allows fully automated CT evaluation of large batches, e.g. 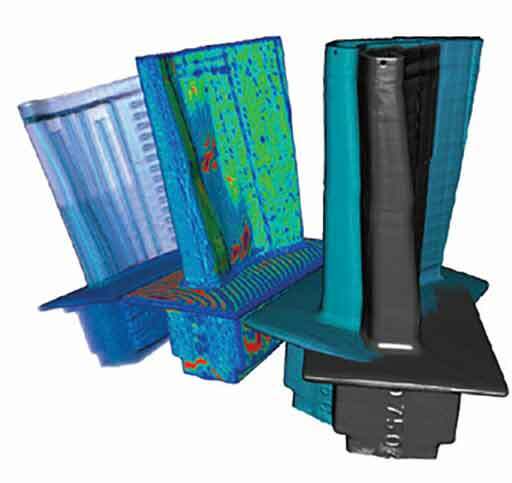 to scan up to 25 turbine blades without any operator action. The system offers industry leading sample size, flexibility and maximum penetration power for high absorbing samples at 450 kV. 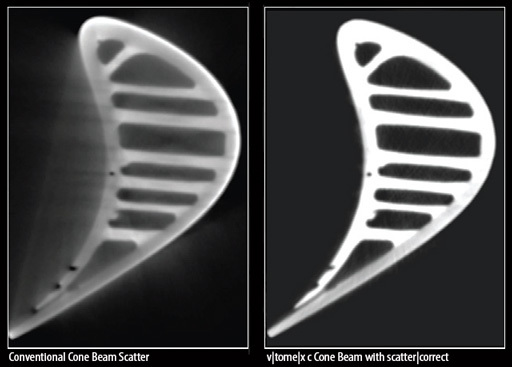 It is the first industrial CT scanner with GE’s proprietary breakthrough scatter|correct technology option allowing users to gain a low scatter artifact CT quality level never before reached with flat panel cone beam CT.
* Measured as deviation of sphere distance in tomographic static mode SD (TS), method details referring to VDI 2630 guideline on request.